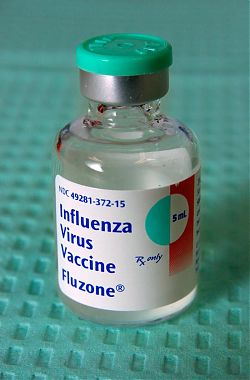 Are flu vaccines effective in the elderly? They offer a number of possible reasons for this bias — perhaps the most frail people don’t get to vaccine clinics; perhaps doctors try harder to have their most energetic patients vaccinated; perhaps those people on the verge of death don’t want further intervention. I don’t have the statistical chops to critique their analysis in detail, but from what I do follow it seems well supported. I’d like to see more work on this, because it obviously has huge, huge implications for vaccination policy and vaccination research. Even if this suggestion eventually doesn’t hold up, it’s a really important message: Always be skeptical. By the way, I and my family got the H1N1 vaccine last night (even though I read this article last week some time), so I’m walking the walk as well as talking the talk. This is always a hard situation, because if a vaccine is made properly it is almost always better to receive the vaccine than not, however, their is always risk.